Just like the arrival of the spring comes this emerald gemstone, a symbol of all that is fresh and new in the world. The color of emerald mimics the deep green of an ocean oasis and the brightness of an endless stretch of a summer meadow. Emerald is a highly coveted gemstone lauded for its vibrant green color, lush hues, remarkable elegance, unparalleled beauty, and charisma. This scintillating gemstone has besotted human beings for thousands of years, and its magical charm continues to enchant. A precious gemstone on par with diamonds, rubies, and sapphires, emeralds are among the first gemstones mined in the world. Colombia is home to the largest source of emeralds worldwide. Colombian emerald deposits yield a fine variety formed between 40 and 65 million years ago. Is Boyaca Colombian emerald valuable? The value of colored stones is typically determined by a combination of its color, clarity, cut, and carat weight. This is no different when determining what Boyaca Colombian emerald is worth. These guidelines will help you choose emerald stones for your collection. Color is the most important quality factor for emerald. The most desirable color of an emerald gemstone is a bluish-green in a medium dark tone with strong to intense saturation. The shades vary from light to deep green with tints of blue, yellow or black. Colombian emeralds get their color primarily from the trace amounts of the element chromium. Gemstones with vivid and brilliant green color are considered the most valuable and command a higher price in today’s market. As a Type III gemstone, you can always see inclusions in emerald stones. Type III gems show eye-visible inclusions, but even specimens with obvious or prominent inclusions are often faceted for use in jewelry. Colombian emeralds are likely to have more inclusions than its counterparts. Colombian emeralds with internal inclusions rather than surface or near-surface inclusions are more valuable. Finding a flawless emerald gemstone without any inclusions is a herculean task and commands a very high price! Columbian emerald stone can be cut in different shapes such as round, oval, pear, rectangular, marquise, cabochon, and more. However, the most popular cut is a square or rectangular step-cut called the emerald cut. This cut maximizes the shape and weight of the natural emerald crystal. 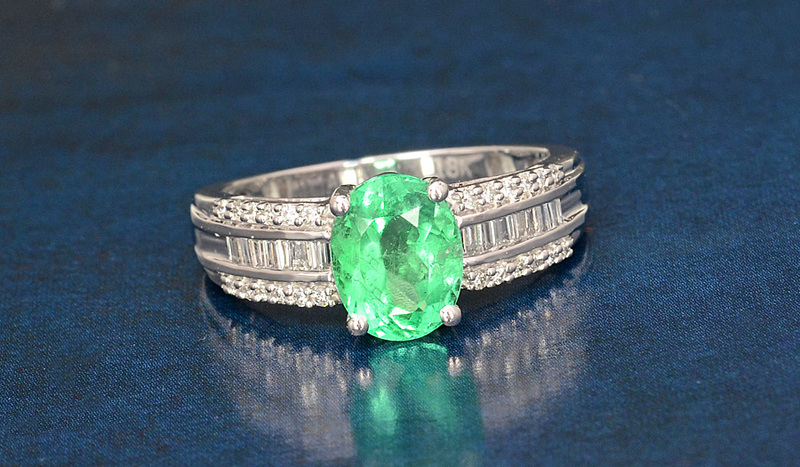 Well-cut stones maximize the beauty of the emerald’s color to create a bright, lively stone. Colombian emeralds are considered the premier source for producing fine quality emeralds in a wide range of sizes. Larger emerald stones are rare and more costly as compared to smaller ones. There are found in museums and private collections and weigh hundreds of carats. A suitable weight for emerald jewelry is between 0.5-4 carats and gemstones beyond five carats are rare and expensive. The price of Colombian emerald gem rises dramatically as the size of the stone increases. Therefore, it is advisable to purchase Colombian emerald gemstone by size and not by carat weight. Colombian emeralds are subjected to the dyeing process to improve their color, beauty, and appearance. Most emeralds are treated with oil, resin, or polymers to reduce the appearance of inclusions and to fill surface-reaching breaks to enhance their clarity and durability. This treatment is stable with normal care. Emerald ranks 7.5 to 8 on the Mohs scale of hardness, providing enough protection from potential scratches or abrasion. With a good toughness to protect from accidental chips or breaks, it’s a great choice for a durable gem to wear daily, or simply whenever you like. Even so, emeralds are beautiful stones for all types of jewelry and with proper care will last for generations. Wash your Boyaca Colombian emerald pieces in a solution of soapy water and lukewarm water using a soft cloth to remove dust, fingerprints and other grime. Avoid the use of ultrasonic and steam cleaners, as these and will cause damage to the gemstone. Emeralds treated with oil must periodically be oiled. Many professional jewelers can offer this service. Store these attractive green-colored gems in soft pouches or fabric-lined jewelry box when it’s not worn. It’s best to store gemstone jewelry away from other jewels in your collection to avoid accidental scratches or other damage. Who Can Wear Boyaca Colombian Emerald? Due to its high popularity worldwide, this astounding gem has become a preferred choice for jewelry and is treasured by every generation as a precious asset. The best thing about this astonishing green color is that it can flatter everyone, regardless of skin tone, hair and eye color, and one’s personal style. Emerald looks amazing with almost any other color palette. It makes a harmonious couple with the hues of the opposite color spectrum, such as purple, red and orange. Emerald green also looks chic with all the neutral hues. Bright yellow and pastel hues making the calmest and coolest combination. This opulent color looks amazing also with softer and lighter color combinations such as blues and pinks. The lush greenness of this stone makes it a traditional gemstone to celebrate 20th and 35th wedding anniversaries. How Does Boyaca Colombian Emerald Compare to Other Emerald Stones? Each mining location produces a different color variation of green emerald gemstone. Colombian emerald gemstones are generally the most expensive per carat followed by Brazilian emerald and Zambian emerald. Colombian emerald produces fine leafy bluish green color while Brazilian emeralds have a slight brown or gray cast with pure green hue and Zambian emerald appear deep green with a deep bluish shade. Colombian emeralds are likely to have more inclusions than Brazilian and Zambian emerald. If you love the emerald’s vibrant green color with transparency, then Boyaca Colombian emerald is a preferred option for you. Colombian emeralds are globally famous for their quality, and many people, especially visit Colombia with their eye on taking home a beautiful emerald of their very own or as a gift. Where Does Boyaca Colombian Emerald Come From? 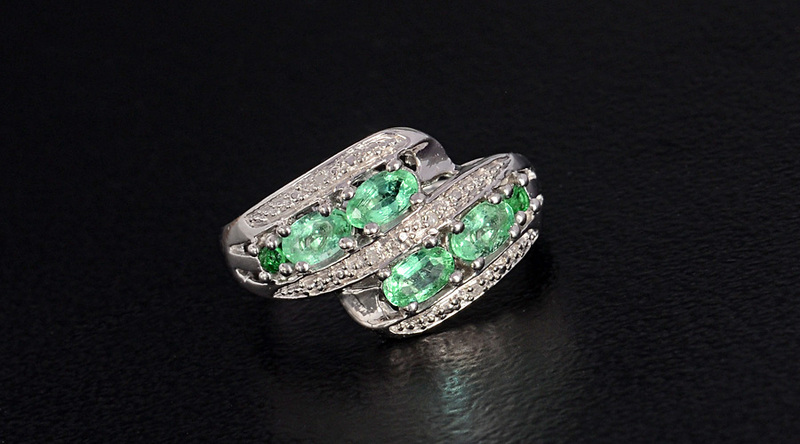 Columbia is regarded as the top producer of fine emerald stones. There are more than 160 mines of emerald stone exist from where the best quality emerald stone is mined. Colombia alone is responsible for between 70 to 90-percent of the world’s emerald supplies. Therefore, Columbia is known to be the birthplace of fine quality emerald stones. Shop LC sources our supply of Colombian emerald from Muzo and Chivor mines in the Boyacá province in Colombia. Mining of Columbian emerald is done in two ways. One process is called an open pit mining, which is not used very often due to environmental concerns. Another process is through tunneling, following the white calcite veins that might host emerald. Digging into the calcite veins is done using hydraulic jackhammers and then hand picks to remove any emerald crystal from the host rock. What Does Boyaca Colombian Emerald Mean? Emerald is a symbol of love, loyalty, new beginnings, peace, prosperity, and security, making it not only a beautiful gem to wear, but also a meaningful gift to be treasured by the receiver. Known as the stone of wisdom, wearing emerald stone enhances a person’s intellect and wisdom and dispels negative thoughts from the mind. Aside from this, the green color emerald stone invites happiness and luck in its wearer life. It strengthens the luck of a wearer and sails them through the tough times. Gem therapists attribute Colombian emerald with many healing properties. They believe this emerald stone could cure the complications associated with the birth and fertility. The soothing green color of emerald was also thought to cure stomach problems, eyestrain, control epilepsy, combats stress and keep the wearer relaxed and serene. Is Boyaca Colombian Emerald a Birthstone? Emerald is an official birthstone for May. The plush greenness of Colombian emerald makes it a perfect variety of emerald to celebrate birthdays in this beautiful month when nature springs back to life. Colombian emerald ranks 7.5-8 on the Mohs scale of hardness. 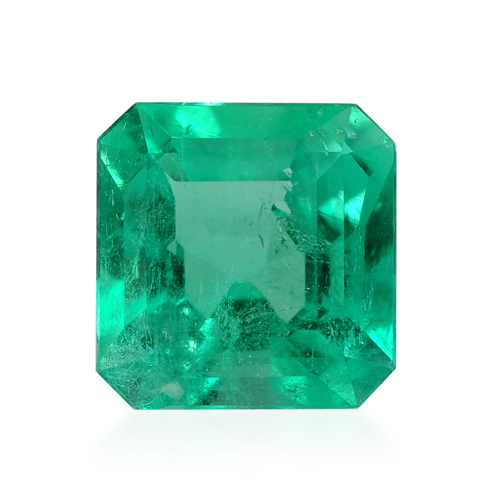 This variety of emerald is known for its yellow-green to blue-green colors like forest green. Shop LC sources our supply of Colombian emerald from the Boyaca province in Columbia. 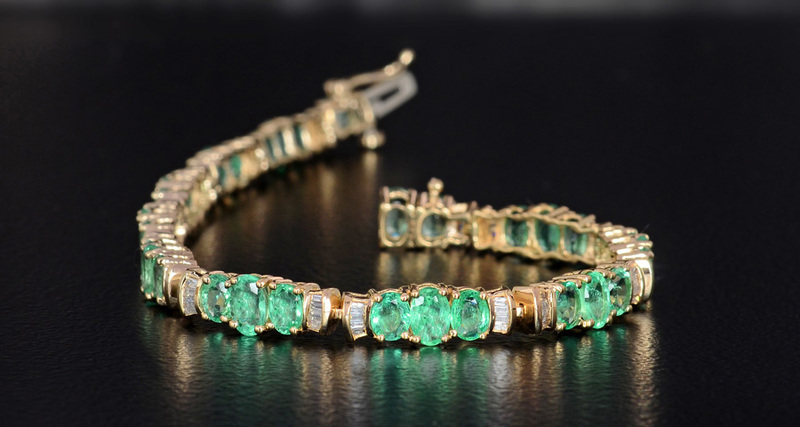 Colombian emeralds are subjected to the dyeing process to improve their color, beauty, and appearance. Emeralds are treated with oil, resin, or polymers to reduce the appearance of inclusions and to fill surface-reaching breaks.